Denise* et Maurice Brunet*, habitaient dans une résidence à Paris avec leurs trois enfants. Leur fille Monique est âgée de 17 ans. Maurice Brunet* était employé à la SNCF. Avec Léon* et Pauline Morel*, agriculteurs protestants à Devesset, ils vont sauver Jean Borakowski, qui viendra rejoindre Max Fajn chez Pauline* et Léon Morel*. Le soir du 16 juillet 1942, Denise* et Maurice Brunet*, prévenus par des collègues cheminots, réussissent à convaincre ses voisins, Abram et Rywka Borakowski, juifs originaires de Pologne, de se cacher avec leur fils Jean, né en 1933, dans leur cave. Quand les policiers arrivent, ils trouvent l’appartement vide. Les Borakowski restent dans la cave pendant près de deux mois tandis que les Brunet leur amènent des provisions. Au début de l'année 1943, Maurice Brunet* transfère Jean Borakowski par train vers une famille de paysans près d'Orléans dans le Loiret. Passé en zone libre Jean Borakowski rejoint le maquis. Maurice Brunet* accompagnera aussi Max Fajn, cousin de Jean Borakowski dans la Creuse. 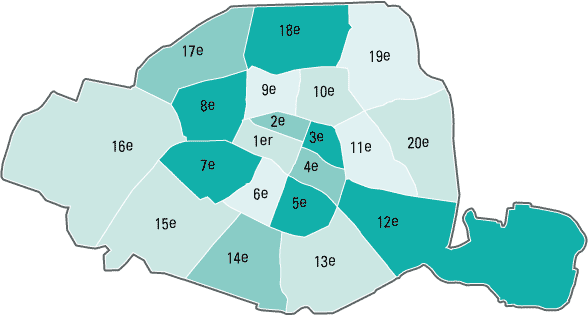 Après un an, alors que les rafles s'intensifient dans cette région, Maurice Brunet* amène l'enfant dans la Creuse, de l'autre côté de la ligne de démarcation, à Fresselines, où se cachent déjà Rywka et Abram Borakowski, l'oncle et la tante de l'enfant. Plus tard, Maurice Brunet* vient chercher Jean Borakowski pour le conduire à Saint-Denis-en-Val où il est pris en charge par une famille locale, via une organisation catholique. Rywka Borakowski le rejoint dans le village où elle propose ses services en tant que femme de ménage dans diverses familles, et ce jusqu'à la Libération. A la fin de la guerre, une fois la famille de nouveau réunie, les Borakowski gardent contact avec les Brunet, même après le déménagement des Borakowski en Alsace. Le 11 mai 2011 l’Institut Yad Vashem Jérusalem a décerné le titre de Juste parmi les Nations à Denise* et Maurice Brunet*. 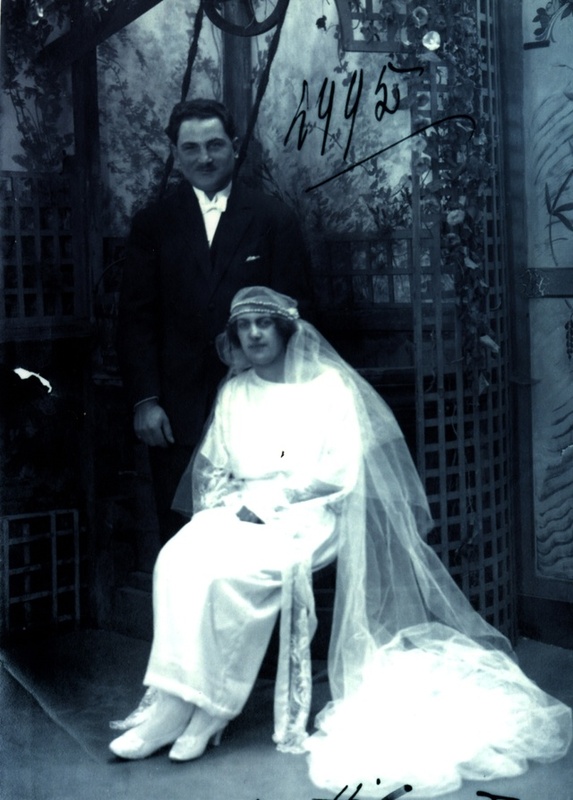 When war broke out, Abram and Rywka Borakowski, originally from Poland, were renting a small apartment in Paris, where they lived with their son, Jean (b. 1933). Their neighbors were Maurice and Denise Brunet, and their 17-year-old daughter Monique. Maurice Brunet worked in the railway company and the two families were good friends. On July 1942, just before the Vel d’Hiv roundup, Maurice came to Abram and told him he had heard about the upcoming arrests. He advised the Jewish family to go down to his basement, where they would be safe. He and Denise had organized the basement in advance, so the Borakowskis could comfortably take shelter there for a while. On July 15, 1942, French police came to the Borakowski apartment and found it empty. Abram, Rywka and Jean stayed in the Brunet’s basement for two to three months, and Denise brought them food and supplies every day. At the end of 1942/beginning of 1943, Maurice Brunet took Jean out of hiding and brought him to a farmer’s family in Orleans (Loiret), where he believed the boy would be safer. But after arrests began in that area too, he decided to move Jean again, and helped him get to his uncle and aunt, the Senders, who were living under false identities in Fresselines, a small village in the Creuse department. Some time later, Maurice decided to move Jean again for his own safety, and brought him to the Catholic Roger family in Saint Denis en Val (Loiret). Maurice had brought Rywka there earlier, and she was working in the house as a maid. Meanwhile, Abram had managed to join the resistance. Rywka and Jean remained with the Rogers until liberation. The Borakowskis all survived the war thanks to the courageous actions of their neighbors and friends, who helped them during such a dangerous and critical time. The relationship between the two families remained strong for many years after the war. 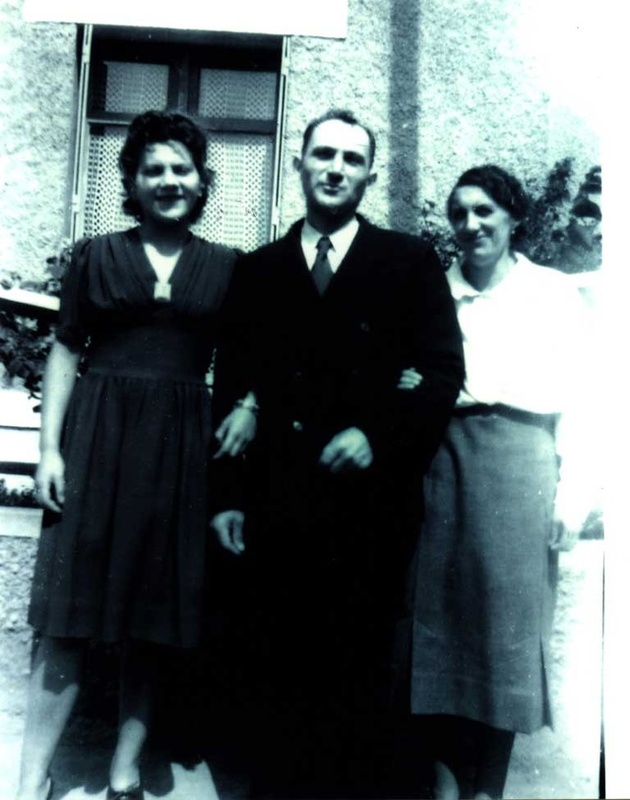 On May 11, 2011, Yad Vashem recognized Maurice and Denise Brunet as Righteous Among the Nations.